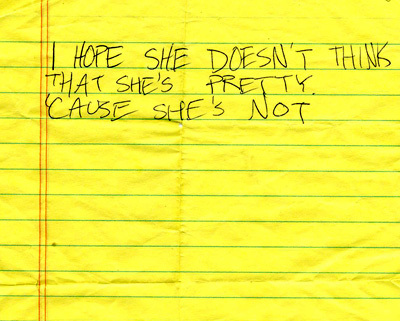 I picked up this folded yellow piece of paper on Harvard’s Campus. I unraveled the well considered folds to find this amazing note: short, sweet and to the point. I love how well-punctuated it is.